Join us this week as we take a look at a controversial grape popular in South Africa: Pinotage. Pinotage has certainly had a bit of a checkered past. Created from a cross-breeding of Pinot Noir and Cinsualt (also known as 'Hermitage', thus the name 'Pinotage' for the new grape), the grape has gained some notoriety as winemaking and wine-drinking trends have changed over the years. Pinotage is primarily planted in South Africa, form where it originates. 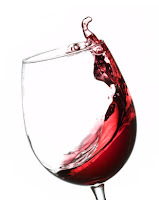 In fact, for better or worse, Pinotage remains synonymous with South African wine for most people. Massively popular in South African wine-making from the 1960s to the 1990s, Pinotage popularity took a hit when South African winemakers began to experiment with global varieties (such as Shiraz and Merlot) after the end of apartheid. The tendency for Pinotage wines to develop a pungent sweet aroma and distinctly 'un-European' wines also didn't help its reputation as the general public began to turn away from mass-produced 'New World' wines in the 2000s. Pinotage vines tend to be relatively easy to cultivate. Having inherited some of the characteristics of Cinsault, they are resistant to disease, and yield small grapes and large leaves. The grape ripens early and has high sugar levels, which makes for strong tannins. The tannins are often softened by long periods of fermentation under cool temperatures.Separating the skin from the grape early on in the fermentation period can also help reduce the tannin content, but can also result in the wine losing its flavours and aromas. Pinotage wines tend to be rustic in character and have earthy and smoky notes in both taste and smell. This makes them good pairings for red meats, such as game, steak, burgers, or barbecue ribs. Pinotage is often blended with other grapes, suchas Shiraz, Merlot, or Cabernet Sauvignon) to make a variety of different styles of wine, from intense reds to easy-drinking rosés and almost everything in between. There are over a dozen different single-varietal (ie 100%) Pinotage wines available at the LCBO now, as well as dozens more that contain Pinotage as part of a blend, so pick up a bottle today! Flavour Profile: Smoky, Earthy, with notes of berries.